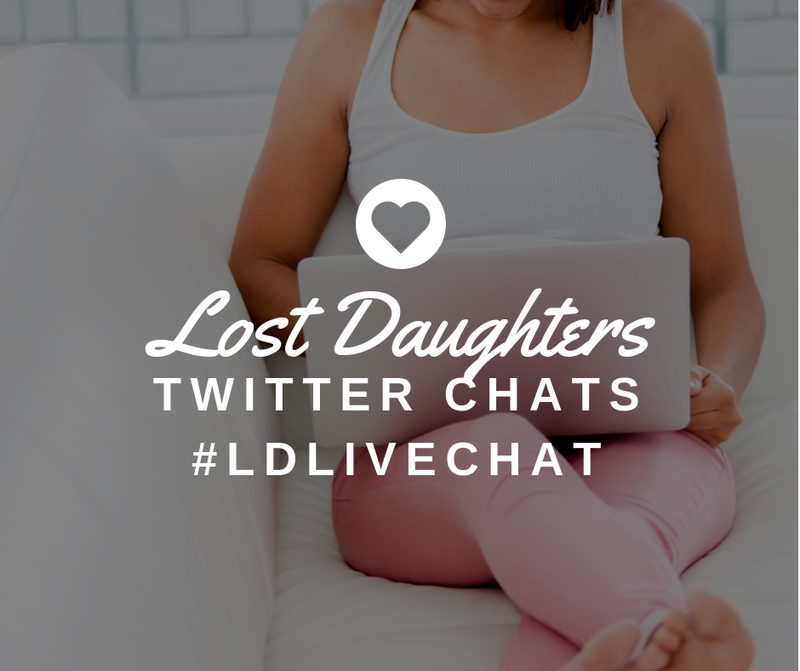 Lost Daughters: You are Adopted--Funny Joke or Hurtful Insult? You are Adopted--Funny Joke or Hurtful Insult? Do you find this punch line offensive? “Well, you must be adopted.” What’s been your experience with this “joke”? Laura Dennis -- Honestly, it was only recently that I realized this was offensive. I’d heard it before, said to other people--Oh, well you’re bad at math unlike the rest of the family, You must be adopted. Funny, I never thought it applied to me; clearly the adoption kool aid was in full effect. I'm more sensitive to it now. However, I have a tendency to say things in a snarky tone. I can’t simply respond, “Well, there are some people who are actually adopted, including me,” without it coming out very sarcastically. Maybe that would be a good thing. Deanna Doss Shrodes -- Usually my first thought when people say that is, "You are so clueless I'm not even going to dignify that with a response." Jenn -- I'm not a fan of it. I don't walk around saying things like "You must be [insert slur here] to think that." I just feel like sometimes people don't get that it's my life. 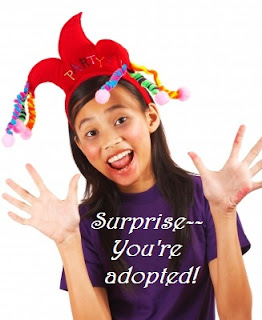 I hate the joke meme's that float around Facebook because I've heard too many stories of adoptees finding out they were adopted later in life. It's too real and people treat that awful feeling as a joke. Rebecca Hawkes -- One thing I've noticed about myself is that I often have a certain "numbness buffer" that goes up when I encounter things that are blatantly adoption-related. For example, I can watch an entire movie about adoption and not connect it to my own situation or have any emotional response to it. Only later will I think "Hmm, that was about adoption. I wonder why I didn't notice that." On the other hand, a movie that isn't about adoption directly but has a related theme, such as loss of a parent or disconnection from family, will have me balling my eyes out. So what I'm getting at (in my long, rambling way) is that for much of my life I heard such jokes and didn't connect them to myself, as strange as that may seem. Now I'm more aware, but I still tend to react with my head more than my emotions. But just because I'm not having a strong emotional response doesn't mean it doesn't affect me. Sometimes the effect of such things is more subtle and insidious. 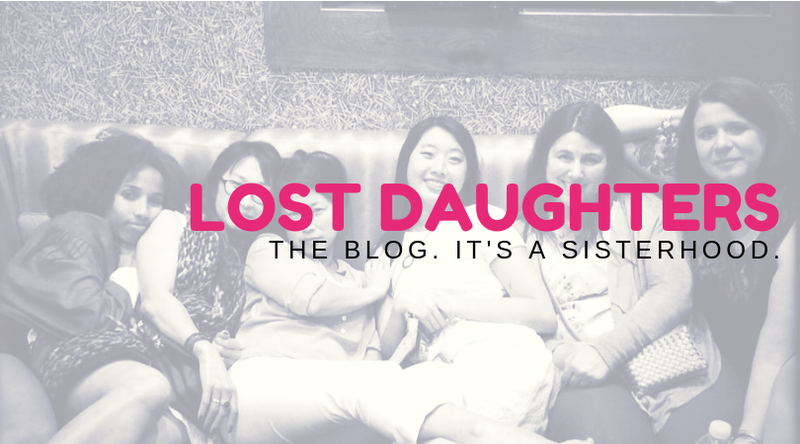 Is it okay to joke about being adopted ... with other adoptees? Amanda Woolston -- Rebecca, I've experienced that too. Being adopted has always been an element of my identity that I've tried to keep separate from the rest of myself. I questioned how something so unknown could relate to the rest of my experience in life. This worked for me until my first son was born and I couldn't separate adoption out any longer. Anything that reminded me of the loss of a mother of her infant or an infant of its mother sent tears rolling down my cheeks. "Amanda, stop being so adopted. Of course you can room with me." I burst out laughing at my computer screen. Being adopted is something Julie and I both share in common. The common adoptee struggle of fearing rejection is something we've both had to overcome. I don't like the irreverent type of joking where you use the diversity of being adopted to infer something negative about someone else. Adoptee jokes are used to signify anything from being mentally ill, disturbed, not really related to their bio or adoptive family, not belonging, or being a "bad seed." I doubt anyone who uses adoption as a joke in this way is working actively to correct the adoption policy problems that make these stereotypes possible. If many of our families weren't unknown to us and if adoption law didn't enforce secrecy, even of us from our own genetic roots, the stereotypes of our unknown, mysterious, evil, misunderstood biological roots wouldn't be so effective as jokes. The difference between my joke with Julie and someone else using adoption as a joke is the message that gets sent. Two adoptees joking within the community are using joking as a tool of empowerment. We're both reflecting on the challenge we faced and are able to find humor in what we've overcome. The latter type of joking is only effective so far as it is understood that being an adoptee is a negative thing, and therefore, can be used as an insult. That's just not OK.
(Insensitive) adoption themes are inescapable! Lynn Grubb -- I must be a total cry baby . ... All adoption themes make me cry . . . all non-adoption things make me cry . . . Commercials make me cry! I'm glad you mentioned fear of rejection. I find that affects me in a big way. 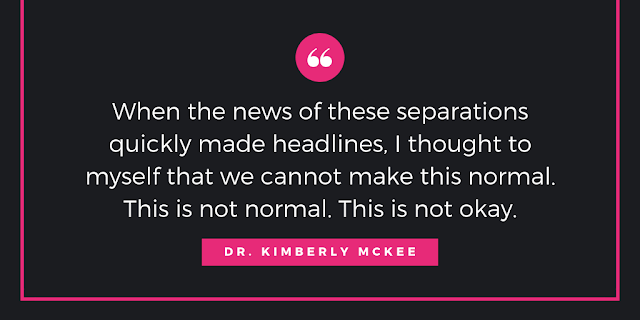 Deanna Doss Shrodes -- I have found myself trying to stay away from adoption related themes in media the past year. I find that usually the way things are portrayed is not in keeping with my experience as an adoptee and it angers me to see it. Therefore, it's not an enjoyable experience for me. Lynn Grubb -- I feel the same way whenever I see a movie (Lifetime like) that shows social workers removing children out of homes . . . They always add unneeded drama and skip over the legal steps that would normally happen. . . . So everyone who watches the movie thinks people can just show up and take kids without any warning. It really irritates me. Deanna Doss Shrodes -- My husband took me to a movie for a date night, back in 2011. He thought it was going to be this amazing night, and only had good intentions. As soon as the movie theme unfolded, I immediately tensed up and started crying, quietly. He could tell I was not having a good time. I didn't want to talk about it afterwards, because I knew I couldn't stay composed, AT ALL. I just didn't have the emotional wherewithal to control it. This was all before I experienced a lot of healing through connecting with other adoptees. He wanted to go for ice cream after the movie which we did. I told him I didn't want to talk about it. But he was so puzzled by what I was so traumatized by he said, "Can we please talk about it?" Bad move. At the ice cream place the more we talked the louder my voice got. It was like a dam started bursting. I was crying, just getting louder and finally he said, "You're right we shouldn't have went there with this in a public place..." Then I cried all the way home. Just quietly in the car. Since then I've avoided TV shows or movies with any adoption theme. I think it's been a good move especially while I've been focusing on healing a lot from unresolved issues the past year and three months after finding you guys. Lynn Grubb -- You held all that in for so long, Deanna. It's like a dam has let loose! Laura Dennis -- I just saw a photo from a party in my Facebook feed. Some girls were celebrating (honoring?) their coach at the end of their season, and they decided to make him wear a large paper dunce cap with a variety of super-fun insults “lovingly” scrawled in thick black marker.